Eleven of the thirteen essays were previously published in other books or journals. The first and last essays were unpublished prior to this book. The book is in four parts. The first part discusses Robert E. Lee himself. In the second part, the focus shifts to Lee’s primary subordinates. Part III traces the early development of memory and the lost cause. Finally, in Part IV, Professor Gallagher considers the Ken Burns Civil War miniseries and the modern legacy of the war, including battlefield preservation. In the first essay, “The Idol of His Soldiers and the Hope of His Country,” Professor Gallagher discusses how Lee built his reputation from where it stood in late 1861. “Lee’s antebellum accomplishments, gentlemanly demeanor, and Christianity–all of which contributed to his later fame–counted for little at a time when many Confederates thought him timid on the battlefield. His reputation reached its nadir following a frustrating campaign in western Virginia during the fall of 1861, in the course of which forces under William S. Rosecrans and George B. McClellan solidified Union control over much of the area. Subsequent service along the South Atlantic coast added scant luster to Lee’s record. The press suggested, and whispers among soldiers and civilians agreed, that he preferred entrenching to fighting. By the spring of 1862, Lee was back in Richmond functioning as Jefferson Davis’s chief military adviser, a bureaucratic post that offered little opportunity for accomplishments that would generate public acclaim.” [pp. 8-9] When he took command of the Army of Northern Virginia, Lee faced a daunting military problem with the Federal Army of the Potomac on the outskirts of Richmond and the confederacy on the retreat in both the eastern and western theaters. “Apart from the purely military dimension of his challenge, Lee had to deal with a restive Confederate populace. No analysis of his generalship should overlook the importance of civilian expectations. He served in a democracy at war, and the key to success lay in providing the type of leadership that would generate continued popular support for the national military effort. Since the victory at First Manassas in July 1861, it seemed to many Confederate citizens that their armies had forged a record dominated by defeat and retreat. The result had been an erosion of public morale and an almost frantic yearning for offensive victories. … Lee certainly understood Confederate morale as he prepared to face McClellan outside Richmond. Aggressive by nature, he must have known that his preference for dictating the action rather than reacting to the enemy’s moves suited his people’s temperament. He used his first three weeks in field command to prepare his army and then launched an offensive against McClellan in the Seven Days battles, a decision that saved Richmond and laid the groundwork for his later fame.” [pp. 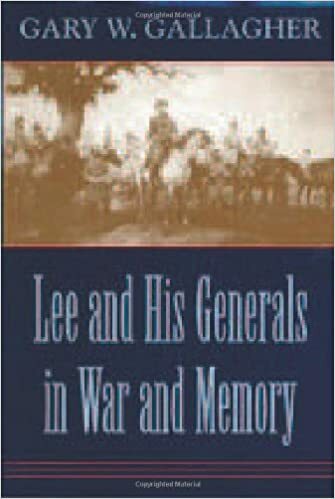 10-11] Lee’s offensive actions from the Seven Days to the Antietam Campaign “swept away doubts about his willingness to take chances and thrust his name into the front rank of southern generals.” [p. 11] By that time there wasn’t much that would diminish Lee’s reputation. “Even after Gettysburg (which was not perceived as a decisive defeat by most Confederates), faith in lee among his soldiers and behind the lines remained largely unshaken. The victories in 1862-1863, though admittedly won at a horrific price in southern blood, had created an expectation of success in the Virginia theater that sustained Confederate morale for nearly two more years. Letters and diaries from the period 1864-1865 frequently described Lee as invincible and expressed faith in his ability to withstand anything the North could throw against him.” [pp. 14-15] While a number of critics claimed Lee’s use of the offensive was the wrong strategy, his actions met with approval from confederates. “With the exception of his seemingly effortless repulse of Ambrose E. Burnside’s clumsy assaults at Fredericksburg in December 1862, each of the campaigns conveyed to the Confederate people a sense that their most famous army was taking the war to the enemy rather than simply awaiting the next Federal move. Confederates mourned the army’s huge losses but directed remarkably little criticism toward Lee as the officer responsible for the effusion of blood. Even during the protracted defensive fighting of 1864-1865, Lee retained a reputation as an audacious commander who would seize any opportunity to smite the enemy. Joseph E. Johnston presents an interesting contrast to Lee in this regard. Although respected by most of his soldiers and popular in some civilian quarters, Johnston suffered from a widespread belief that he too often adopted a passive defensive strategy and yielded too much ground without a major struggle. Johnston either misread Confederate expectations or ignored them; the result was sharp criticism of his generalship at crucial points in the war.” [p. 16] Professor Gallagher makes the case that a defensive oriented strategy didn’t work anyway. “Confederates impatient with strictly defensive campaigns could argue that such operations had exposed vast stretches of territory to the Federals while yielding only the most meager long-term results. Albert Sidney Johnston’s position-oriented defense of the Kentucky-Tennessee arena in 1861-1862 sacrificed much of Tennessee and witnessed the surrender of approximately 15,000 soldiers at Fort Donelson. The capitulation of 30,000 Confederates at Vicksburg in 1863 capped another defensive disaster, and Joseph Johnston’s retreat to Atlanta in 1864 set up a siege that culminated in a landmark victory for William Tecumseh Sherman. Indeed, every major siege of the conflict occurred during campaigns marked by Confederate defensive strategies, and each of them ended in Union triumph. That roster included Petersburg, which concluded as Lee predicted it would in June 1864. ‘We must destroy this army of Grant’s before he gets to [the] James River,’ Lee told Jubal Early just after the battle of Cold Harbor. ‘If he gets there, it will become a siege, and then it will be a mere question of time.’ Nor did defensive campaigns conserve Confederate manpower. Leaving aside surrendered troops (a factor that dramatically increased the defender’s losses), strategically defensive campaigns often consumed manpower at a rate roughly equal to that experienced by the offensive side. Defenders almost always reached a point where they had to attack in order to avoid a siege, and these tactical counteroffensives often took place amid circumstances unfavorable for the attackers.” [p. 17] Even when Lee and his men fought behind breastworks and other fortifications, the Army of Northern Virginia still lost proportionately more men than the Army of the Potomac, meaning Lee couldn’t afford the losses even on the defensive. The second essay is “The Best Possible Outcome One Could Hope For: Lee and the Army of Northern Virginia in the 1862 Maryland Campaign.” In this essay, Professor Gallagher wrote, “In a strictly military sense, the war would be won in the western theater, where Ulysses S. Grant, William Tecumseh Sherman, and George H. Thomas eventually outmatched their Confederate opponents. But many people perceived the eastern theater to be the critical arena. Much of the northern and southern public, important politicians on both sides, and foreign observers looked to the well-traveled one-hundred-mile strip of disputed land between Washington and Richmond for signs of victory. The opposing capitals were there, the most famous armies were there–the war must be decided there. A combination of diplomatic, political, and military factors created a potential opportunity for the Confederacy in the fall of 1862. Political leaders in England and France watched events with special interest. … A firm believer that the South must demonstrate its independence before Britain intervened as an arbitrator, Prime Minister Viscount Palmerston overlooked Federal triumphs west of the Appalachians and interpreted the Seven Days as a turning point. He suggested to the Queen on August 6 that England should propose an armistice in October, when the results of the fall campaigning in Virginia presumably would be known (and presumably would favor the Confederacy). … By mid-September (it took news several days to travel from America to England), Palmerston spoke of Britain and France proffering ‘an arrangement upon the basis of separation’ between the warring sections. Chancellor of the Exchequer William Gladstone favored outright recognition of the Confederacy. In these three men [Lord John Russell, head of the Foreign Office, believed Lee’s victory at Second Manassas meant an end to the war would be forthcoming soon], the Confederacy had powerful supporters who might sway a cabinet that contained several members devoted to strict neutrality.” [pp. 22-23] The fall of 1862 was a critical time in the war. “On September 17, the day of the battle of Antietam, Lord Russell agreed with Palmerston that Britain should offer to mediate ‘with a view to the recognition of the independence of the Confederates.’ Should such mediation fail, added Russell, ‘we ought ourselves to recognize the Southern States as an independent State.’ He concluded with the observation that a Federal defeat in Maryland would prepare the North to receive Britain’s proposal. … In sum, a diplomatic opportunity of unknown magnitude hung tantalizingly before the Confederacy in September 1862. It seemed also within reach of Confederate arms to influence northern politics. The Lincoln administration anticipated determined opposition from Democrats on a range of issues in the summer and fall of 1862. Unless Federal armies produced victories in the autumn campaigning, the Republicans stood to suffer in November’s off-year elections. … The extent of antiwar sentiment north of the Potomac was well known but imperfectly understood in the Confederacy.” [pp. 24-25] Professor Gallagher also considers the Maryland Campaign itself, and the problems Lee faced. “The army that crossed the Potomac with 50,000 to 55,000 men mustered only about 30,000 bayonets at Sharpsburg on September 17. … The traditional explanations are familiar: thousands of men fell out of the ranks because their unshod feet gave out; malnourishment and diarrhea left others too weak to carry on; others still, especially those from western North Carolina, felt uncomfortable moving north to fight on enemy soil (they had enlisted to defend their homes). All of these men, the usual argument goes, rejoined their units as soon as the army returned to Virginia. Taken as a group, these factors undoubtedly account for a large percentage of the men who were not present at Antietam. They do not, however, explain Lee’s losing fully one-third of his army.” [pp. 33-34] In fact, the Army of Northern Virginia experienced a large amount of desertion. “An unprecedented percentage of the Army of Northern Virginia suffered from low morale and lax discipline and simply refused to fight in Maryland.” [pp. 34-35] According to Professor Gallagher, in addition, “Lee misjudged the resources of his army.” [p. 37] While Lee erred in trying to do too much, Major General George B. McClellan, commander of the Army of the Potomac, failed to take advantage of the confederate weakness. “Judged by its nonmilitary results, Lee’s campaign into Maryland failed. The most telling consequence came on September 22, 1862, when Lincoln told his cabinet that he would issue a preliminary proclamation of emancipation. … Both Lee’s retreat from Maryland and the Emancipation Proclamation influenced events in Europe. At flood tide in early September, Confederate hopes for assistance from Europe receded quickly. Prime Minister Palmerston believed that events in Maryland had blunted the momentum generated by Lee’s victories at the Seven Days and Second Manassas.” [pp. 43-44] The results of the off-year election disappointed Lee as well. Although the Democrats picked up seats, their gains were modest in comparison with what they could have gained with a confederate victory. The Republicans retained control of the House of Representatives and gained five seats in the Senate. This essay gave us a great view of the problems Lee faced, how he miscalculated, and the opportunities in front of both armies. The third essay, “If the Enemy Is There, We Must Attack Him,” concerns R. E. Lee and the Second Day of the Battle of Gettysburg. Professor Gallagher considers Lee’s own testimony regarding his actions and thoughts. “Lee himself said little publicly beyond his official report. … ‘It had not been intended to deliver a general battle so far from our base unless attacked,’ wrote Lee in apparent confirmation of Longstreet’s assertion that he had envisioned acting on the tactical defensive in Pennsylvania, ‘but coming unexpectedly upon the whole Federal Army, to withdraw through the mountains with our extensive trains would have been difficult and dangerous.’ Nor could the Confederates wait for Meade to counterattack, ‘as the country was unfavorable for collecting supplies in the presence of the enemy, who could restrain our foraging parties by holding the mountain passes with local troops.’ ‘A battle had, therefore, become in a measure unavoidable,’ concluded Lee, ‘and the success already gained gave hope of a favorable issue.’ Lee offered the last hopeful statement despite a firm understanding of the terrain. ‘The enemy occupied a strong position,’ he conceded, ‘with his right upon two commanding elevations adjacent to each other, one southeast and the other, known as Cemetery Hill, immediately south of the town. … His line extended thence upon the high ground along the Emmitsburg Road, with a steep ridge in rear, which was also occupied. This ridge was difficult of ascent, particularly the two hills above mentioned as forming its northern extremity, and a third at the other end, on which the enemy’s left rested.’ Stone and rail fences affording protection to defenders, together with generally open approaches three-quarters of a mile wide, complicated any plan of assault. Yet offensive thoughts dominated Lee’s thinking. When Ewell declined to strike at Cemetery Hill late on the afternoon of July 1, the commanding general opted to await the arrival of Longstreet’s two leading divisions: ‘It was determined to make the principal attack upon the enemy’s left. … Longstreet was directed to place the divisions of McLaws and Hood on the right of Hill, partially enveloping the enemy’s left, which he was to drive in.’ A. P. Hill would engage the Union center with a demonstration, while Ewell’s troops would do the same on the enemy’s right with an eye toward exploiting any opening.” [pp. 52-54] His official report, though wasn’t the only time he communicated about Gettysburg, though it was the only time he did so publicly. “Five years after the battle, he responded to a query [from Major William M. McDonald of Berryville, VA] about Gettysburg in a similar vein: ‘I must again refer you to the official accounts. Its loss was occasioned by a combination of circumstances. It was commenced in the absence of correct intelligence. It was continued in the effort to overcome the difficulties by which we were surrounded, and it would have been gained could one determined and united blow have been delivered by our whole line.’ ” [p. 54] Colonel William Allen made notes of conversations he had with Lee in 1868. “Lee hoped to avoid a general battle in Pennsylvania, recorded Allen, but ‘Jeb’ Stuart’s absence caused the opposing forces to stumble into one another on July 1. The commanding general ‘found himself engaged with the Federal army therefore, unexpectedly, and had to fight. This being determined on, victory w[oul]d have been won if he could have gotten one decided simultaneous attack on the whole line.’ Lee also observed that his critics ‘talked much of that they knew little about’ and, in a likely reference to William Swinton’s book, stated that he doubted Longstreet ever said Lee ‘was under a promise to the Leut. Generals not to fight a general battle in Pa. … He had never made any such promise, had never though of doing any such thing.’ ” [p. 55] Major Seddon, the brother of the confederate secretary of war, “met with Lee shortly after Gettysburhg and subsequently related his conversation to Major General Henry Heth. Heth quoted Seddon as stating that Lee acknowledged a heavy loss at Gettysburg but pronounced it ‘no greater than it would have been from the series of battles I would have been compelled to fight had I remained in Virginia.’ After making this observation. Lee rose from his seat and with an ’emphatic gesture said, ‘and sir we did whip them at Gettysburg, and it will be seen for the next six months that that army will be as quiet as a sucking dove.’ ‘ ” [p. 56] Professor Gallagher also goes through what major historians such as Douglas Southall Freeman, Harry Pfanz, and Edwin Coddington wrote about Lee’s performance at Gettysburg. He then details what confederate artillerist Edward Porter Alexander had to say, and then analyzes Lee’s actions in light of what he said about the battle. 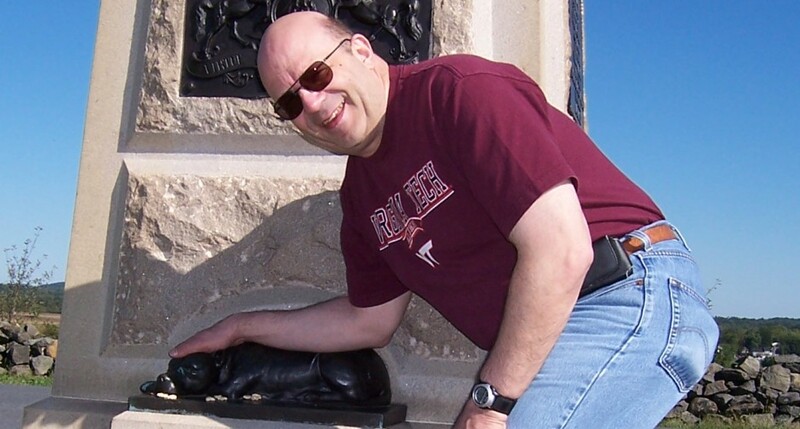 In the next essay, Professor Gallagher considers “The Army of Northern Virginia in May 1864.” He tells us “three factors promised great difficulty for the Confederates–two of which were familiar leitmotifs in the saga of the Army of Northern Virginia. The chronic problem of supply continued to plague Lee. … Northern numbers constituted a second problem. … Leadership represented the third and potentially most decisive factor.” [pp. 77-78] In discussing this last factor, Professor Gallagher tells us, “Leadership posed very serious problems for Lee. At the corps and division levels lurked questions of competency, attitude, and physical stamina that would be answered only on the battlefield. Should officers in these positions prove unequal to the challenge, their deficiencies, together with the shortage of qualified replacements, might compel Lee to adopt drastic measures to maintain the efficiency of his army. Lee himself was the most important component of the army’s leadership. In his twenty-three months in command of the army, he had won victories that drew the attention and admiration of the world. His penchant for the strategic and tactical offensive dominated his campaigns from the seven Days through Gettysburg and the inconclusive maneuvering in late fall 1863. … Lee dreaded any scenario that allowed the enemy to make the offensive moves. Yet the paucity of men and supplies, not to mention the aggressive temperament of his new opponent, virtually guaranteed that he would be compelled to fight the approaching campaign on the defensive.” [p. 79] Lee worried about his own health as part of the leadership problem. “In late summer 1863 he had offered to step down from command, citing unhappiness with the Gettysburg campaign and ‘the growing failure of my bodily strength.’ ‘I am becoming more and more incapable of exertion,’ Lee admitted, ‘and am thus prevented from making the personal examinations and giving the personal supervision to the operations in the field which I feel to be necessary.’ ” [p. 80] His corps commanders were also problematic. While James Longstreet, his senior corps commander, held his complete confidence, the same can’t be said for the other two. Both Second Corps commander Richard S. Ewell and Third Corps commander Ambrose Powell Hill had their own health problems–Ewell from his amputated leg and Hill from his various illnesses that plagued him throughout his career. “The picture at the division level was far from reassuring in Longstreet’s First Corps, which contained only two divisions because George E. Pickett’s command remained separated from the army. Gone were John Bell Hood, long the best of Longstreet’s combat generals but now commanding a corps in the Army of Tennessee, and Lafayette McLaws, a usually reliable officer whose bitter quarrel with Longstreet in East Tennessee had resulted in his transfer to a post in Georgia.” [p. 83] “In contrast to the First Corps, the six divisions of the Second and Third corps enjoyed veteran leadership.” [p. 84] The Overland Campaign would stress these commanders almost to the breaking point. Indeed, “By the end of the month [May], the Confederate commander had been forced to shoulder many of the duties previously discharged by his corps commanders, and he could only hope that replacements at the division level would perform adequately.” [p. 85] Longstreet was severely wounded during the Battle of the Wilderness and was lost for much of 1864, while Ewell and Hill continued to be less than stellar in their performances, resulting eventually in Ewell’s replacement. Division leaders, meanwhile, performed well, but Professor Gallagher makes the point they were competent but not brilliant. In other essays, Professor Gallagher analyzes Thomas J. “Stonewall” Jackson and his reputation during the war and in popular history since the war, the fall of John Bankhead Magruder, the criticisms levied against James Longstreet after the Second Battle of Bull Run, and the performances of both Hill and Ewell during the first day of the Battle of Gettysburg. He compares the Shenandoah Valley campaigns of Stonewall Jackson in 1862 and Jubal Early in 1864, concluding not even Jackson would have been successful if placed in Early’s position. “How Familiarity Bred Success” concerns the Ken Burns Civil War miniseries. Professor Gallagher begins by discussing how others viewed the series. “Overall, nonscholarly magazines devoted to the Civil War typically praised the series but complained about errors of fact or omissions concerning specific battles or campaigns. Academic historians frequently expressed unhappiness with what they perceived as uncritical popular acceptance of Burns’s work. Many of their comments betrayed an impatience toward military topics, which they saw as inherently less interesting and important than the social and political dimensions of the war.” [p. 246] He has some specific criticisms of the scholarly comment on the series. When he discusses how he saw the series, Professor Gallagher gives us a balanced, sober appraisal. He recognizes the production quality of the miniseries as well as “Burns’s greatest achievement lay in his ability to fire the imaginations of millions of Americans, sending them in large numbers to libraries and bookstores in search of more information.” [p. 248] He also has some criticisms. “Although Burns consulted a number of prominent historians, many parts of The Civil War betray a curious ignorance of modern scholarship.” [p. 248] He has a number of specific examples of shortcomings in the series, as well as this one: “On the Confederate side, viewers might infer that cavalryman Nathan Bedford Forrest ranked as the most important officer in the West. Shelby Foote relates a number of colorful anecdotes about the roughhewn general and, incredibly, places him alongside Abraham Lincoln as one of the war’s ‘two authentic geniuses.’ Although Forrest never commanded more than a few thousand men, his appearances in the series outnumber those of Braxton Bragg, Albert Sidney Johnston, Joseph E. Johnston, P. G. T. Beauregard, and others who led southern armies during major campaigns. This treatment grossly inflates Forrest’s prominence. His wartime contemporaries in the Confederacy typically saw Forrest as a peer of John Hunt Morgan and Earl Van Dorn, other successful raiders whose exploits vexed the Federals, but scarcely conceived of him as a general whose impact rivaled that of senior officers.” [pp. 259-260] Although disappointed with a number of missed opportunities, Professor Gallagher ends the essay praising Burns for his efforts. This is a terrific book of value to every student of the war. I can highly recommend it for the understanding it provides regarding not only R. E. Lee but also his key subordinates and the development of the lost cause.